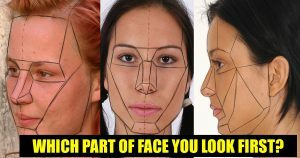 What Is The First Thing You Look At When You See Someone’s Face? Science Answers! It might be with strangers or familiar ones, we deal with a lot of people in our day to day life and do have long conversations with them. But, when we question ourselves about which part of the face we look at, when we talk with someone, the answer remains skeptical. The opinion may vary with very few people, but in general, people mostly look into the eyes and lips or smile. A survey conducted on hundreds of people bought out some results that are quite funnier and interesting at the same time. However, most of the people ended up answering eyes, some stood calm and others answered that they look at their partner’s smile. Looking into the eyes is quite recommended because it ensures if the listener is paying attention or just passing on your verses. Looking at the eyes also signals that you are a confident person; this comes in handy at job interviews and such. If you make eye contact, you are treating the other person as your equal rather than seeming subservient or uncaring. Despite the common opinions, it can be understood that when a Man is having a conversation with a girl, the part of face he looks at depends on the beauty. He might look straight into eyes or move downwards to lips. The same appeals for Woman.